I watched the Rajnikanth starrer “2.0” yesterday and now I’m faced with a very difficult question. What do I say when a friend asks me: “How was the film?” No one’s going to look for a detailed analysis of the visual effects or the strength of the screenplay or whether there was a focal character for the audience to sympathise with. It’s the simplification they look for: Whether it’s good or bad. That good or bad classification soon becomes radicalized among groups of friends into “Sema mass” or “Padu mokkai.” Most of these are people who have just watched the trailers. How did we get here? The domain of film criticism has undergone a rapid change. About a decade ago, reviews in Cinema Plus or the Indian Express were my first point of contact with movies. Before that there was the “Top Ten Movies” on Sun TV. It usually took anywhere from 3 to 5 days for the verdict on the movie to be passed. That was ample time to go and take a look at the movie yourself. With the advent of the internet, the movie review scene has exploded. Each reviewer has his own brand of reviewing the movie. Prashant Rangaswamy tries to give a layman perspective of the movie by neatly laying down the pros and cons. Abhishek Raja lists down all the people involved in the movie, from the guy who scored the BGM to the art director. “Blue Sattai” Maaran is unsympathetic to any effort that’s gone into the movie and he rips apart the movie saying there’s not much of a story to look for. Finally, there’s Baradwaj Rangan whose reviews you read to figure out what you missed while watching the movie so that you can catch it in the next viewing. The problem with the professional reviewers is that it’s their job. They can’t afford to wait for inspiration and NOT review a movie, waiting for the time where something really good will come up to shape a review. Once there’s a fan following, they’re under pressure to watch the movie on the first day and air their opinions online within a day about what they think. These reviews are not always art appreciation, doubling as a tool for the audience to pick which movie to watch and which not to. When you’re doing the same thing again and again, you need to bring a change into the routine as well. 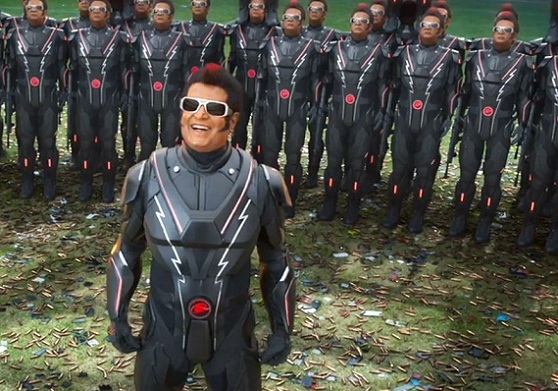 The reviews become an art form in themselves and the reviewer is under as much pressure to make the video innovative as Shankar is to make 2.0 out of the world. It’s difficult to do this consistently and many times the reviewer falls into a rut. There’s no variation in form. How do you stay invested in a review which talks every time in serial order about the story, the actor’s performance, the music, the cinematography, the second half, the climax… Doesn’t this formula become obsolete after a while? And is it really possible to explain every movie in terms of its components? Its like saying, “The tomatoes used are of the highest quality. They have been chopped into nice pieces and are being cooked with aluminium cookware. Only iodised salt has been added…” What’s the taste of the damn curry? There’s also the glut of movie related videos online now. There are reviews for the first look of a movie, the trailer, the teaser, the single, the album, the audio launch function and the motion poster. Apart from these there are interviews of the director, the cameraman and some childhood friend of the star who watched a movie with him once. The title is too clickbaity to ignore – “Shocking secrets about 2.0 revealed.” But with the lack of content, there are videos with titles like this as well, which people still click: “Lyricist of the first song of Petta revealed!” Can any movie, however awesome it is, do justice to this sort of hype? The problem with reviews is that it can explain a story but not an experience. Take the recent films 96 and Pariyerum Perumal for example. Their premise is very simple and it’s not much of a “story” if you explain it verbally. But these films were deeply touching on an emotional level because the characters, the music and the circumstances come together perfectly in moments that make the movie worth watching. On the other hand, 2.0 has a screenplay that moves like a bullet train. One event moves on to the next hardly leaving time for the audience to breath. Before you get time to question, “Wait, is he just saying Akshay Kumar’s ghost is a fifth force? Did he just say positive radiation and positive vibes are the same thing?”, you are floored with grand 3-D effects and fight sequences which end up becoming the talking point of the film. You don’t know what to say about A.R.Rahman’s music these days as well. You trash talk “Simtaangaaran” the first time you hear it and you’re ashamed to tell anyone four days later that it actually grew on you. There is great danger in denouncing a film harshly these days as it can make you come across as nit-picky and snobbish. “Why do you look for logic in a film like this? A movie is just for entertainment,” is the usual comment. These are the same people who question Nolan’s scientific integrity even though he hired an actual cosmologist for the black hole visualization in Interstellar. With the increasing popularity of online platforms, negative criticism of a movie is also taken as a regional insult. My Telugu friends try to justify that Bahubali is the biggest thing that happened to Indian cinema with others who bring up the visual standards of Hollywood. Is either side right or wrong? There is such a staggering amount of information online that no reviewer can take up a single viewpoint and defend it adequately. Finally, there’s the risk of a movie not being taken seriously at all. Leading this front is the army of meme creators who use intertextuality and references to simplify every movie scene to a Vadivelu comedy. You can craft the best dialogue or the most beautiful visuals, but if they can find a tad of similarity to existing content, your movie is going to be ripped apart as a joke. The scene has changed so much now that it’s not just movies, but critics themselves who are being mocked in meme channels. Why has it become so complicated to just go and watch a movie? Why bring it down to the level of politics? Thinking about all this, I reach home and my friend asks me, “How was the movie?” I choose the diplomatic answer. “It has a good message.” Let him find out for himself. Thanks for this piece, Adhithya. The problem with reviews is that it can explain a story but not an experience. I kinda disagree with this. One of the things I try to do in my reviews is detail MY experience of the film (which may not be the same as someone else’s, of course). If that does not come across, then it is my failure as a writer. But the point is that a review CAN reflect an experience. Even I felt that Rangan’s reviews are more of his experiences. Perhaps he is the only one who tries to experience a movie than being coldly objective. Good Write up Adhithya! We all are in a hurry to ‘express’ than ‘experience’. I absolutely agree with the viewpoint, “what if the work which you trashed initially, grows on you later?”. Too much content coming in, and we are in a hurry to taste. Anyway reviews are guiding what we can relish. But our experience is a getting a bit adulterated. We are overloaded with too many viewpoints & opinions before we could actually experience the film. Aren’t we diluting our own soulful experience? Still, we can’t resist reviews! Small films like Pariyerum Perumal, 96, Andhadhun & Tumbbad greatly gained from reviews recently. Badhaai Ho and Stree evolved into Bigger Blockbusters, literally proving a simple word-of-mouth is a bigger force. I agree that a good review can reflect the experience, but sometimes it’s difficult to convey the combination of multiple elements. Something like the music hitting the right note just when the actor turns with the right expression on the face. The writing gives a hint as to what to expect but it’s not as impressive as what is seen on screen. (Figuring out how to recreate music through writing is something I think about a lot). And its not about if I agree with BRs take or not. It’s about his beautiful articulation and knowledge of the craft of movie making. His posts ticks both the boxes that I love-English and Cinema! Yes, maybe I made the piece a little one-sided. Last year was really good for small films like “Maanagaram” and “Aruvi” because of the excellent reviews they received. In that respect, I think it’s a good thing. This piece was more about the dilemma as to what to say when you review the movie. Good write up, Adhithya. But I don’t agree that much with it from the Indian perspective. While Hollywood movies always got detailed and interesting reviews that went deep into the film and weren’t cursory, the vast majority of reviews appearing in newspapers in India used to be very brief. Magazines published more elaborate reviews but which were still a pretty long way off from the detailed analysis you get today. I would still say from the Indian perspective, the opening up of the market has been a boon and not a bane because elaborate reviews can be published online without worrying too much about the impact on circulation or the simple, practical newspapers had of cramming as much as they could into the same column inches. Actually, come to think, this used to be a problem for the West too. The sleeve of my CD of King Crimson’s Red has reproductions of newspaper reviews (reproduced as cutting so it looks very authentic too). They are brief, opinionated and often so wildly off the mark it’s laughable in retrospect. They could not see that this album was going to be one of the last classics of, er, classic prog but more importantly regarded even by Seattle grunge as an influence. It is the magazines like New Yorker that drove better content even then. Such magazines again rarely found a significant audience in India and hence most of them, like India Today/Outlook, catered to more populist considerations. What web series are doing now for original Indian content, online/blog reviews did to film/music criticism too. Caravan is one of the few ‘professional’ print outlets today that publish in depth reviews. Otherwise, it’s mostly online outlets like firstpost. This is not the first time, though, that I have come across this complaint in this space so maybe it is driven by The Hindu’s own approach which was different from other broadsheets. As a Mumbaiite, I tried for a while to subscribe to Hindu (back in the pre-online edition days) but reading yesterday’s paper made no sense and stopped. For us, it was always Times of India and the reviews published today on TOI’s own Mumbai supplement Mumbai Mirror are way better than what they carried on the TOI Sunday spread in the 90s (back when Khalid Mohammed reviewed Hindi films and Rashid Irani covered Hollywood). Irani used to be able to make sense even within that limited space; Khalid came across as more opinionated and unreliable. Critics were powerful even then. Critics didn’t take kindly to PBDH back then as it attacked the news industry and latched onto the KNPH bandwagon; the rest is history. If filmmakers/actors feel threatened by social media critique today, they should understand that what’s changed is we don’t NEED to go to a cinema hall to entertain ourselves anymore. It’s the plethora of options that makes them insecure…and snap judgment reviews are an easy target. People always passed snap judgment on films and if the reviews took until Sunday, ensuring a good opening, let’s also remember that in the pre multiplex and pre digital print era, a good opening wasn’t nearly enough to make a film run. It had to do at least 100 days in a good number of centers. So bad reviews were as influential then as now. If anything, even good reviews could not save films that didn’t hold the interest of the audience long enough (in terms of weeks). Today’s ecosystem gives small films a sliver of a chance and perhaps, late-Metallica-like, the established stars dislike this democratisation of the system. A big star opening should NOT be ALL it takes to make a film run so if star power is no longer enough, all the better I say. Let there be more Andhadhuns. Ashwin Kumar, BR: I agree with ashwin. And it’s precisely the reason why I make it a point nowadays to read reviews(not just BR’s) after watching a movie. IMO, a review should not be a deciding factor for watching a film. That is the job of the trailers and teasers. Also, I find, personally, that a film is more fun to watch that way. The freshness makes all the difference. Ashwin Kumar : Very well put. Wow. This comment is an article in its own right. It gives a great perspective about film criticism before the internet age and I sure learnt a lot from it. I agree that the film industry has to adapt to survive instead of blaming snap judgements. What I was trying to drive at is that sometimes this criticism of harsh criticism results in film critics being diplomatic sometimes. Abhishek Raja who became popular because of his sharp reviews seems to have mellowed in style… This evolution of criticism due to the pressure of the digital form is interesting. Completely agree with the fact that movies should not be solely carried by the star. I wish to see more Andhadhuns too! “What I was trying to drive at is that sometimes this criticism of harsh criticism results in film critics being diplomatic sometimes.” – I think more than criticism of criticism – which is also as old as the biz – it comes when a critic reaches a critical mass and now wants to preserve his/her position. And perhaps this trend is accentuated by the ability of reviewers to become popular without depending on say a newspaper or mag to publish them. For then, they depend very directly on the audience for approval. And if a section of the audience starts voicing disapproval, they get nervous. Sort of the same way that once independent and enterprising bands become tame with increased success (with a few notable exceptions, of course). Nicely argued, Adhithya. I must confess that I think the magic of movies is being diluted by one-a-second reviews, sometimes posted while watching the movie. To some extent, I agree with Sanjana’s point earlier on that movies are now made/broken on social media. To some extent that movie suffered from online trolling. And from what I hear frommy friends in the media, real concentrated efforts at making that film fail. And I’ve been getting that feedback from both sides of the aisle. I’m glad I didn’t let the critics – professional or otherwise – put me off watching ToH. But many people did make up their minds to not watch the movie after the slew of negative reviews. When someone asks your opinion of a movie , or reads your review, I think they know that it is coming from you. And even if you follow a certain template , it will be useful for the person who reads or asks the question. For example, I know a friend of mine who will see every movie on a Friday but he is only a fan of action movies. So i would not be asking for his opinion on anything else . As for your other musings on what should go into a review, I think if the review is treated as a creative piece in its own right, then these problems alleviate. Literary criticism has always been regarded as creative work , and so should film criticism. There are constraints that may make it feel like homework to you, but I think that is why almost all of us have opinions on movies but only few are regular reviewers. With practice , a reviewer probably will learn how to write creative pieces about movies , and I think creativity is directly proportional with subjectivity. One should not worry about how the readers are going to process it. The readers , in due course of time, will learn how to read and consume reviews. If the reviewer changes his or her style because of the readers then I think that reviewer will only appeal to people who want to make a quick decision about the movie. Finally, – how do we decide which movie to watch if the reviews are the subjective opinion of a reviewer? What I have done in the past is not to read whole review but skim over it , and catch some indicative words. That too of a reviewer I know of . In BR’s blog even the number of comments and the length of the review can tell you something about the movie. Then there is imdb that aggregates ratings of people with algorithms (different ratings have different weights ). For me the thumb rule is that imdb ranking => 7 is watchable and =>8 is likely a masterpiece. When I realised how subjective a movie watching experience is I have been trying not to ask the question “How was the Movie?”. I prefer the question “Did you enjoy/like the movie?” The idea is to know the experience of the individual rather than defining a movie as such. I am hoping that shifting the subject of the question from the movie to the individual would make a difference in the conversation. Similarly when I talk about a movie I try to stress it about being my experience rather than about the movie. Being conscious of this helps me to not dismiss or ridicule someone else’s experience even if it is exactly opposing to mine. It also helps me to not defend why mine is the way of watching a movie. En Kaadhal Kidakkindrathe” in the Kannama song, in Kaala. I am sure the readers of this blog at some point would have had this moment where BR’s words exactly expressed what they had in mind. So I believe it’s quite possible for reviews to be an experience. be able to persuade the regulars here to take their reviews seriously. The readers here are regulars for a reason. On the other hand a new reader who doesn’t know what he wants from a review would have to wade through all the new wave reviewers before reaching this Blog. With the amount of reviewers out there and the amount of movies released and with the decreasing attention span, they may never even come to know about this blog or BR himself. Similarly, I am guessing, quality content providers and creators will struggle to take their content to the masses in this situation. They will have a specific audience. But to take it to the masses among the new wave reviewers will be more challenging. If they lose their unique characteristics to meet the populism they are likely to lose their niche audience and risk becoming ordinary. If they try to maintain the uniqueness they risk disappearing among the masses. So yes the competitive post liberal market has many choices but it doesn’t necessarily bring the quality content to the top always. Free market, in theory, may weed out poor quality. But for that consumers should know what exactly they want. If what they need is free movies, Tamil Rockers is what would prevail. A well written piece, shows that the writer has agonized over the choice of his words, careful words, many of them are, in needing to convey the bewilderment and frustrations inherent to the task of a movie review. The comments too, quite enlightening, even as they take their own and particular slant to the topic. Boiled down to essence, a reviewer is, to use a Laxman phrase, the common man, and it is actually that POV that the review audience seeks to get. And at the back of this thought is the conceit that if I like the movie, the mass will like it, or what I enjoy they will too. As with that friend who claims that if I like the movie, it will be a sure hit. Now if all reviews be Lax-friendly, life would become very ordinary. And therefore, in that sea of sufficient reviews, arise a few outliers. Like Rangan, who seems to be celebrated more for his verbal flourishes than for his content. His conveyance, of his experience as he puts it, being more interesting to read, than the content in question. The idea of being in love with the review than the review itself may sound preposterous but it is true. Regular readers of this blog may object, but the same love of review seems to be working in Blue Sattai’s case too. He who in the beginning was appreciated for his frank outtake of pretentious film. These days his audience seem to be tuned to the sadistic pleasures of the gladiatorial arena, to the pleasure of a movie massacred, like students in class who gloat when frenemies are being slaughtered by the class teacher. From this POV, what was a simple exercise of getting enough information has turned out to be pleasure seeking exercise, one that reflects the seeker as much as the sought. Crustacean: Like Rangan, who seems to be celebrated more for his verbal flourishes than for his content. His conveyance, of his experience as he puts it, being more interesting to read, than the content in question. I’m not sure I can separate my “experience” from “content”. It is, after all, the content that I am experiencing and writing about. So I don’t see how they are separtate. Would you care to explain what you mean by content? Oops, I was not trying to be harsh or anything like that. Apologies if it came off as that! Confession, I am as much a fan of your writing as many are, as evidenced by the many comments by your readers which essentially say “well said”. And on a side note, and if you did notice, your strike rate has been dwindling some time after you became a companion writer. What I would have ideally wanted, in a film reviewer’s take is something very template like, an approach that you seem to eschew. What I would have ideally wanted in the comments section, is a healthy give and take, of arguments for and against your review. From people commenting back after they have seen the movie. This does happens but rarely, and in the cases where they do, they (at times) move away from cinematic appreciation, aesthetics and argument into issues plebeian, which though interesting are really only small snacks for a hungry cineaste. Not that it makes the blog any less interesting, but it kinds of dissipates the fervor. As I pointed out, the point of reading a review much before one watches the movie is to gain a POV. And for most movie going folk, it is more about the common POV than the aesthetes view. While that does look like a narrow view, it is perhaps the majority view. There is another kind of audience that you seem to be missing on, the intense cinephile, the kind that reads your Maniratnam book cover to cover. I am sure that people like that might feel a little shortchanged by this blog as in its present state. Therefore I wonder if you can start a new blog, one for the specialist reader. A blog where not adjectives reign supreme, but nouns and verbs. A blog which offers insights into the various departments that is cinema. This being an age of intense cinematic analysis, undertaken mostly by people whose tastes are deliriously suspect, I wonder what value an aesthete and cinephile like you could bring, if only your analysis were deeper than what you provide the general public here. For a start, and in between reviews, you could take a theme, or a genre, and a clutch of movies in that genre, and analyse them deep, break it down, department by department, and give us insights we might not get elsewhere. But best would be a separate blog, not for dilettantes, but for practitioners who would benefit from it. I daresay that such a project will outlive your lifetime and many of ours. As to writing over content, it was more of a compliment, I thought the word outlier gave it the positive spin that counteracted any implied negativity in the phrase, not that there was any in the first place. Moreover it was more of a side note to other matter weighty. Thank you for pleasures past and forthcoming. As to that cine.veriyan blog, I think it may be worth a thought, and some positive action.